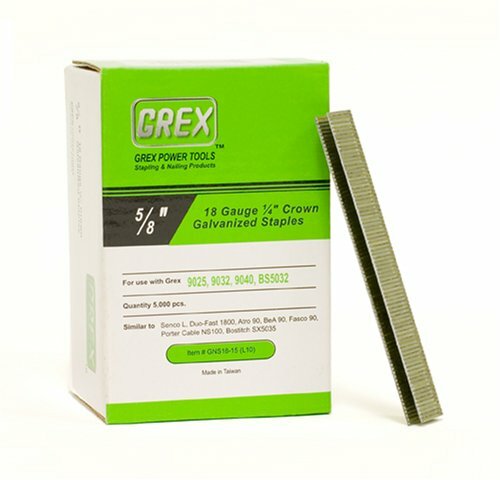 GREX GNS18-15 18 Gauge 1/4-Inch Crown 5/8-Inch Length Galvanized & Coated Staples (5,000 per box) by Grex Power Tools at N Online Agency. MPN: GNS18-15 (L10). Hurry! Limited time offer. Offer valid only while supplies last.